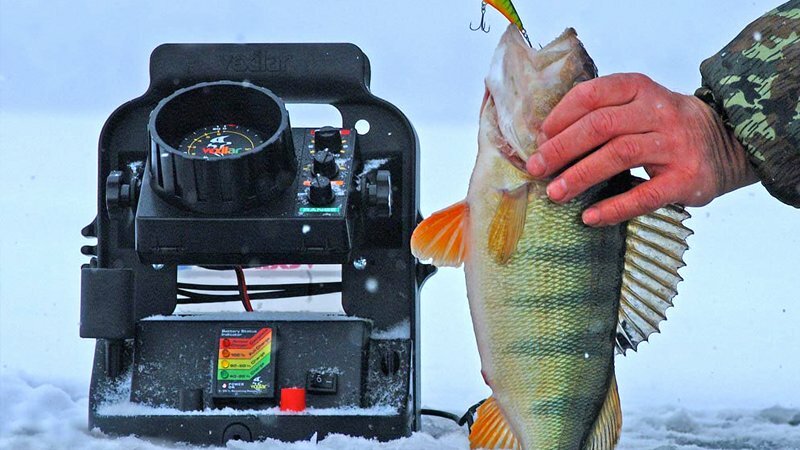 Without a transducer, your fishfinder is useless as it is the transducer that sends the signal through the water to receive the pictures on the fishfinder screen. Equally important is mounting the transducer correctly and in the best location on your boat so you get optimum signal performance. Transom mount transducers are obviously mounted directly on the boat’s transom at the stern of the boat. The transducer needs to be located in the water and usually just below the level of the hull. Transom mount transducers are usually plastic, are the most common type used and are the cheapest of the transducer types available. 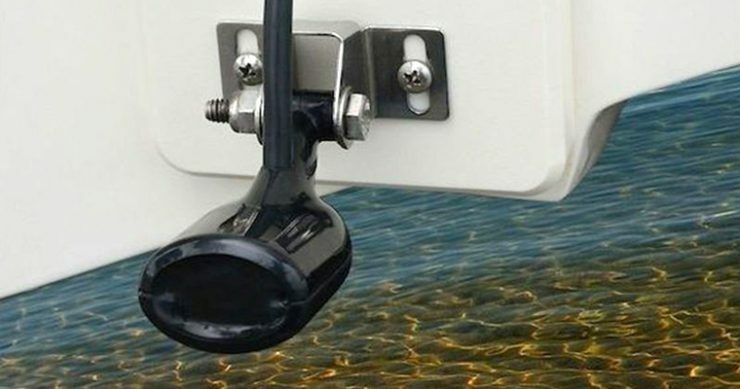 A transom mount transducer should be tilted slightly forward (down towards the bottom) when the boat is in the water so that as the boat moves there is a smooth flow of water running across it. A transom mount transducer can be angled from 3 to 16 degrees if required. Thru-Hull transducers protrude directly into the water via a hole drilled in the bottom of the boat. Thru-hull transducers are considered to give the best performance but also are the most expensive. Thru-hull transducers are recommended for displacement hull boats with straight shaft inboard engines. Thru-hull transducers must be positioned in front of the rudder, propeller, keel or anything else that may cause turbulence that will impair the performance of the transducer. They should also always be mounted in the water and angled downwards. A fairing block will also be required to aid proper mounting to keep the transducer perpendicular to the bottom. In-hull or shoot-thru transducers are stuck to the inside of fibreglass hulls, they will not work with aluminum, wood or steel hulls or with hulls that have foam padded pockets. Any wood, metal or foam layers on top of the fibreglass hull will need to be removed in order for the in-hull transducer to work. In-hull transducers are far less effective than transom mount or thru-hull because the signal needs to be transmitted and received through the hull of the boat. Fibreglass hulls can often be reinforced with areas of foam or balsa wood for extra strength. It is these areas that will need to be avoided when locating a position for an in-hull transducer, because balsa and foam are very poor sound conductors. One of the most important factors in finding the best transducer mount location is to avoid turbulence. As a boat moves through the water turbulence is caused from the weight of the boat and from the propeller. The turbulent water is far stronger immediately behind strakes, ribs, or rows of rivets on the underneath of the boat, and also in the area immediately around the propeller. Propellers running clockwise create more turbulence on the port (left) side of the boat. If your boat uses an outboard it is best to locate the transducer at least 15″ away from the propeller (to the side). The easiest way to find a turbulence free area on your transom is while the boat is moving. 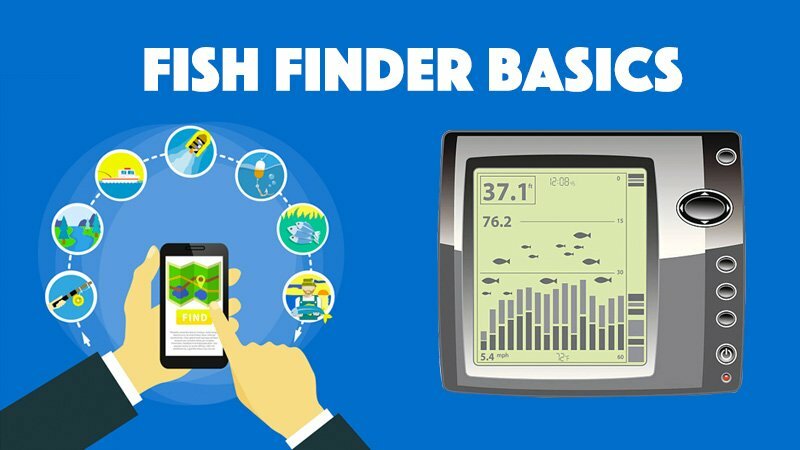 If you intend using your fishfinder at fairly high speeds, then this is the best method, otherwise select a location where the hull is smooth and flat and free of ribs or other such protusions. On boats that have stepped hulls, it is possible to mount the transducer on the step. Avoid mounting the transducer behind a step otherwise the transducer could get pop out of the water under high speed – the transducer must remain in the water to maintain the sonar signal. It may not be possible to find a turbulence-free area of water behind the transom near the propeller. In this situation you may have to consider the other mount types – In-Hull or Thru-Hull. If you are carrying your boat on a trailer make sure that the transom mount transducer is not in an area where it can be damaged to any part of your trailer – especially as you are launching and loading the boat back on the trainer. There will be variations for fitting different models of fishfinder and their transom mount locations. This example is based on the Humminbird 898c si. You will need to carry out the installation out of the water. It is near impossible to install a transom mount transducer while the boat is in the water. You will need to drill holes so this could be impracticle as well as dangerous (if using an electric drill). The instructions here assume your boat is sitting on a trailer on dry land. For best results ensure that the boat is level in every direction sitting on the trailer. Use a spirit level to test and adjust this until it is at the optimum level both ways. While holding the mounting bracket on the area you have selected to mount it, use the level and make sure the lower corner of the bracket does not extend past the bottom of the hull. You should also make sure there is at least 1/4″ clearance between the bottom of the bracket and the bottom of the transom for fibrelgass boats, and 1/8″ clearance for aluminum boats. While holding the bracket in place mark the two drill holes with a pencil near the top of the slot – ensure that each hold is centred. When drilling it is important to make sure the drill is perpendicular with the transom and not parallel to the ground. Most transom mount type transducers will have a pivot bolt that needs to be inserted through the pivot arm and assembly bracket. Hand tighten the pivot bolt then insert the pivot arm assembly into the mounting bracket. Screw the assembly bracket to the transom, but not too tight initially, as you may need to slide it to adjust to the correct position. Transom mount transducers often have a ratchet adjustment to enable correct positioning of the angle of the transducer. This should be adjusted so that it is parallel and just below the hull of the boat. The transducer cable will usually be routed through the boat via a hole in the transom. Ensure that you leave enough slack cable so that the transducer head can be adjusted at all possible angles. Fix a cable clamp (usually supplied) to the outside of the transom so that transducer head cannot be moved in the even of the cable being pulled from within the boat. The hole can be sealed with a waterproof silicon once fitted to ensure it is watertight. Most manufacturers will also recommend NOT cutting, or shortening the cable – special transducer cable extensions are available from the suppliers (not usually supplied). Also, the cable should be placed away from any interference such as VHF radio. The recommended length of cable is up to 50′ max. Plug the cable into the transducer control head (fishfinder receiver). The cable head will usually only plug in one way to prevent reversed installation, so do not force the connector or you will damage the pins. Part of the cable will need to route to your battery of power supply. Ensure you connect the poles correctly usually RED (Positive +) and BLACK (Negative -). Power on the fish finder and ensure that you get a reading through the control panel screen. You may need to adjust the angle of the transducer. 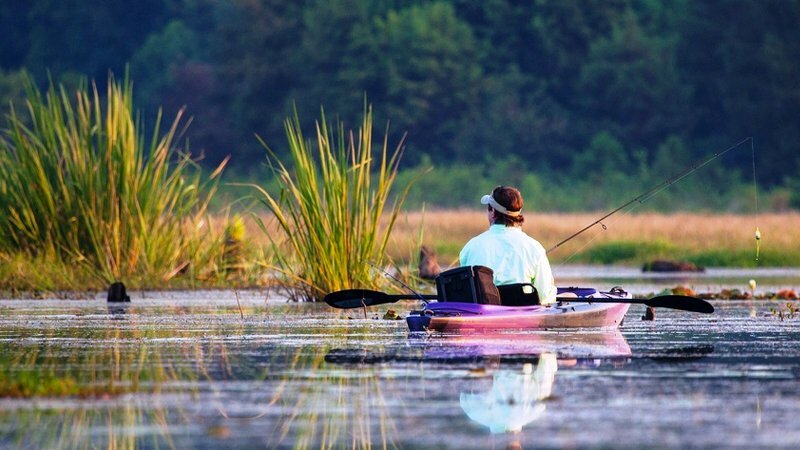 Go for a gentle run in the boat and adjust as necessary. Once you get a reasonable reading increase your speed and ensure the readings remain consistent. Adjust the transducer angle as necessary for your maximum desired speed. Once everthing is working satisfactorily then tighten the screws and bolts and silicon the holes and screws.